SimMars is a mod for SimCity 4 taking the game to Mars. 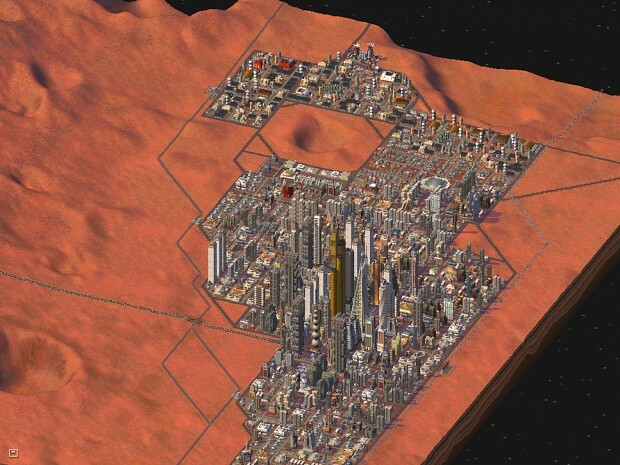 It will bring new buildings, transportation systems, user-interface and music and will replace the Maxis SimCity 4 content as far as possible, giving you the feeling to play a colony on Mars. The mod is still at beta stage. Beta 3 was released in October 2010.